QUARTZ MOVEMENT:Quartz movement with built-in battery,durable and precise time keeping. 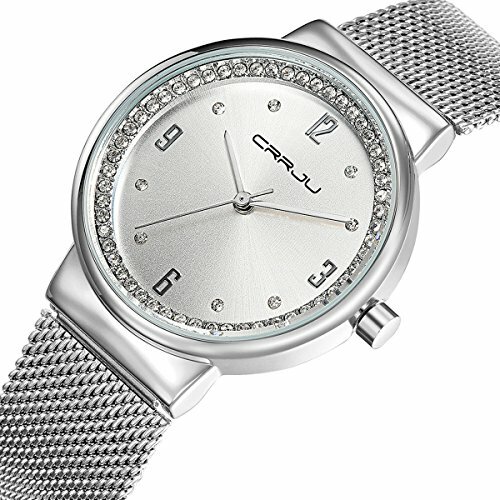 SIZE:Watch Length 23cm/9.06inch;Dial Diameter 35mm/1.38inch;Thickness 9mm/0.35inch;Strap Width 18mm/0.71inch. PRESENT:Good presents for friends and families. FEATURE:Protective coated glass protects watch case from scratches.